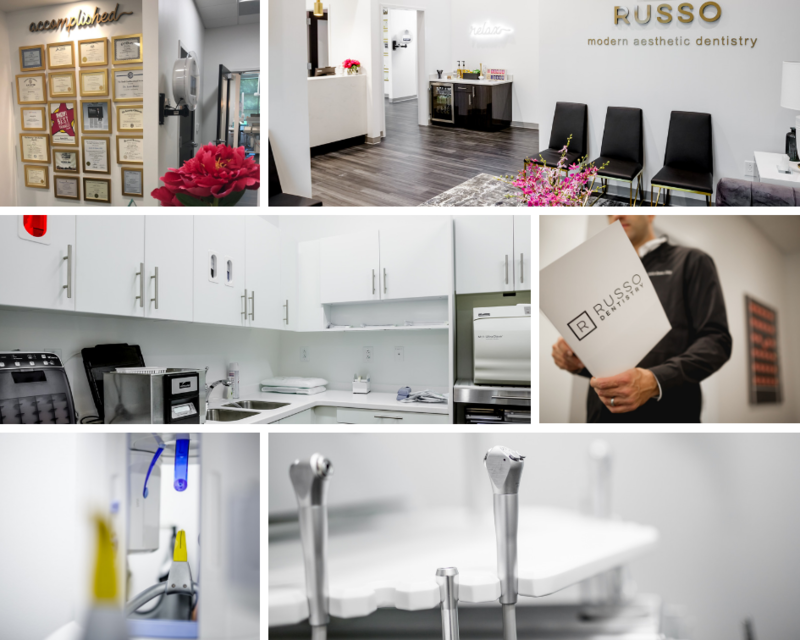 Thank you for choosing​ Russo Dentistry, Raleigh’s top rated and award winning general and cosmetic dental office. Voted by our patients and the community as Wake County’s Best Dentist three years in a row, WRAL TV’s Voter’s Choice for Triangle dental care, Best Dentist and Best Customer Service by Midtown Magazine; and having contributed expert spotlights in Good Housekeeping, Woman’s Day and Redbook, our commitment to excellence in modern dentistry goes far beyond our top-notch patient care. 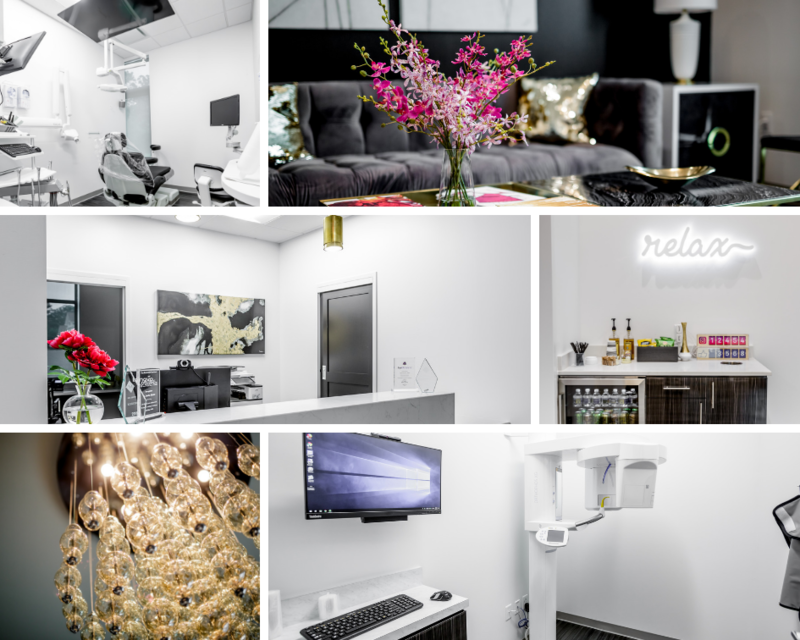 When you step into our state of the art dental spa, you’ll enjoy high-end design, complimentary refreshments, unparalleled comfort & in-office entertainment designed specifically to deliver comfort and convenience to our patients. We look forward to serving you and all of your aesthetic dental needs. When we say Award Winning, we mean it. All of Wake County and Raleigh, NC have voted Cosmetic Dentist Dr. Justin Russo the gold ranking of Top-Rated Dentist two years in a row! 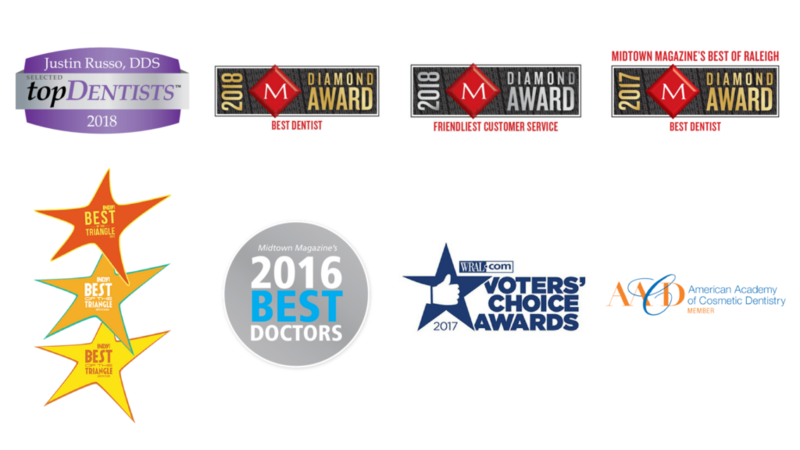 Dr. Russo has been voted Best Dentist in Wake County in 2016, 2017 and 2018! At Russo Dentistry in Raleigh, guaranteeing the comfort and convenience of our patients is our top priority. Our dental office is a state-of-the-art practice that provides the highest-quality dental care in North Raleigh. We routinely treat patients from Cary, Wake Forest, Durham, Chapel Hill, and many surrounding areas of North Carolina. We also work with many out of state patients, and can work to provide convenient, complete aesthetic general dental treatment. Our state of the art dental spa, which opened in mid-2018, is conveniently located off of Ed Drive in Olde Raleigh near Rex Hospital and notable Raleigh destinations, The North Carolina Art Museum and PNC Arena. Our Olde Raleigh location is easily accessible via Blue Ridge Road, Duraleigh Road and Edwards Mill. We understand that you have many choices for a dentist in Raleigh. That’s why we’ve made the process of requesting an appointment as simple and easy as possible. Click here to submit an online appointment request or call our office at 919-890-5147, and our friendly office staff will work with you to schedule an appointment that is best for your schedule. If for any reason you are unable to keep your appointment, please let us know as soon as possible. We will help you reschedule your appointment on a more convenient day and time. Early-morning and lunchtime appointments are available upon request.